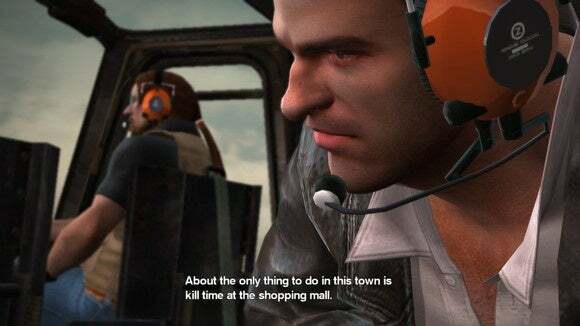 Dead Rising turned ten years old in August. I didn’t believe it, but it’s true—Capcom’s goofy zombie-killing romp, its adaptation of Romero’s Dawn of the Dead, was initially released in 2006, not even a year into the Xbox 360’s life cycle. Capcom’s remastered the original for its birthday, giving the game the typical facelift-and-a-fresher-coat-of-paint treatment. It releases today on Steam. What’s more interesting to me though, on this anniversary, is looking at how PC gaming’s changed in that same time. Dead Rising never came to the PC. Its sequels did—Dead Rising 2 in 2010, Dead Rising 3 in 2013 when the Xbox One launched. But never the original. It’s a fascinating reminder of the PC’s darkest days—a period during the mid-2000s when the PC was shuttled off to the side and it looked as if it might actually die. Everyone wants to talk PC gaming’s death in 2016, but the notion’s a bit ridiculous. If anything, PC gaming’s experiencing a resurgence. But calling PC gaming dead in 2006? Yeah, you probably could’ve made a stronger case, aside from a few outliers like World of Warcraft . There are myriad reasons people like to throw around for that dark time: Microsoft focusing on the Xbox and paying less attention to the PC, Windows XP breaking compatibility with a bunch of older games from the ‘90s, fewer companies in the CPU/GPU markets, the increasing popularity of PC-centric genres (like shooters) on consoles, the fact that consoles actually provided the PC with some reasonable competition in terms of graphics, the rise of DRM, Steam looking like garbage in its infancy. And then in 2007 we got Windows Vista, which certainly didn’t help. Regardless of what theory you subscribe to, the result was a platform in decline. Few games ever made it over to the PC from consoles, and those that did were often half-broken—the Era of Shoddy Ports. Console exclusives were just that—exclusive. And there were a lot of them, even from third-parties like Capcom. Including Dead Rising. 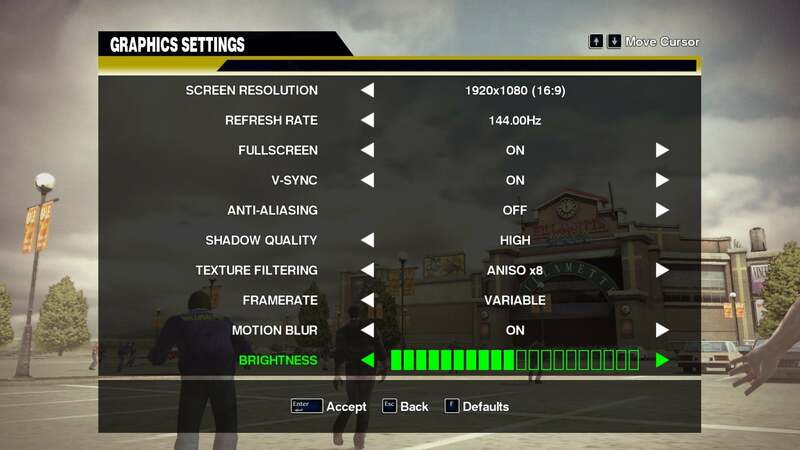 And so Dead Rising’s arrival on PCs, almost a decade later, is a nod to how things have changed. Again, we can point to a number of factors—Microsoft’s first-party support, for one, plus the comparative ease of porting between platforms and the mass of people who jumped over at the end of the last console cycle. 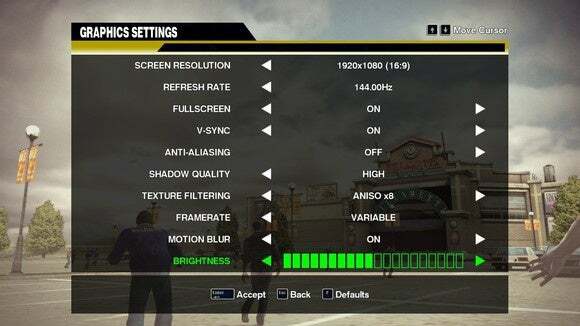 If you love PC gaming, just take a minute to be thankful. Sure, we still get the occasional bad port. Sure, we often play second-class citizen to consoles. But things could (and were) so much worse, and not too long ago. As for Dead Rising? It runs great, just as I’d expect. 144 frames per second, 1080p, looking smooth. There aren’t as many graphics tweaks as I’d like, but the inclusion of MSAA is a nice touch for those who can’t stand the Xbox 360’s polygonal look, and the game handles masses of zombies like a champ. I could do without the mouse acceleration—the camera’s a bit floaty, and there doesn’t seem to be a way to turn it off. But again, it could be so much worse. 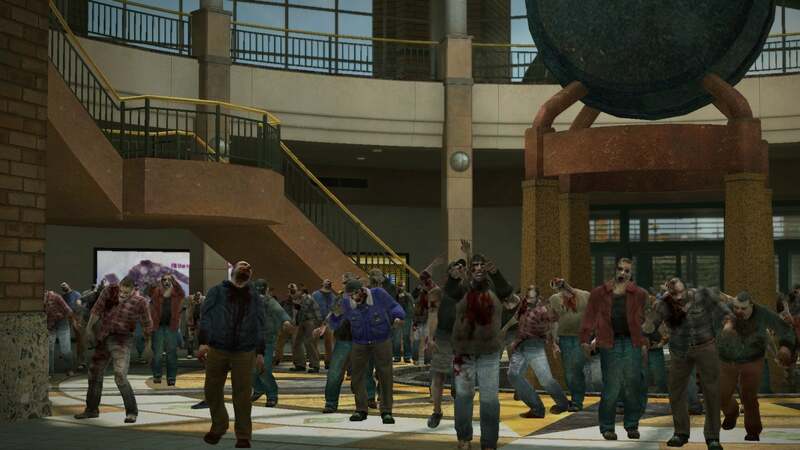 Happy ten-year, Dead Rising. Good to see you on the PC finally.